Avene Anti-Ageing Skincare Collection concentrates on the 2 main factors that contribute to skin ageing. Skin ageing is primarily due to a slowing down in skin cell metabolism, and damage to the support tissues by free radicals (oxidizing agents). Avene Ystheal+ and Avene Eluage works on two levels to help minimize the visible signs of skin aging with two unique ingredients, clinically proven effective and exclusive to Avene Dermatological Laboratories. 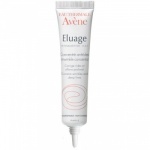 Avene Eluage Cream plumps the skin and smoothes deep lines. Avene Eluage Cream is the new generation of anti ageing, combining the actions of Hyaluronic Acid and Retinaldehyde. Eluage Gel is specially formated to fill marked wrinkles and furrows. Based on a patented combination of Retinaldehyde and H.A.F., Eluage Gel acts by working deep within the skin. Avene Anti-Ageing Ystheal+ Emulsion works on two levels to help minimise the visible signs of skin aging, clinically proven to be effective and exclusive to Avene Dermatological Laboratories. 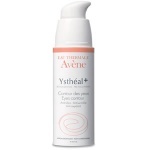 Avene Ystheal+ Eye Contour is a clinically proven anti-ageing cream for the eye area. 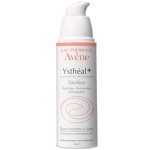 Avene Ystheal+ Eye Contour Cream works on two levels to help minimize the visible signs of skin aging.